The Cirrus Elite Premier binder is a professional binder for the aviation enthusiast with stylish gold corner savers, gold embossed lettering, and a quality leather design. 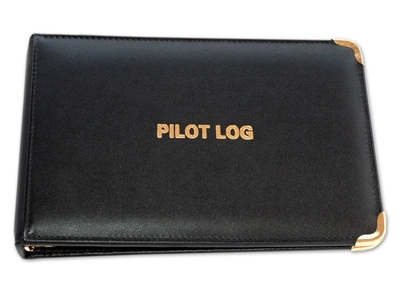 One of our most popular binders for the general aviation community with six rings to prevent page tear outs and inside pockets for credit card storage, fuel receipts, keys, etc. Available in various colors with a wide range of paper choices available from blank inserts for your computer printer to manual log pages and notes & endorsement pages for just about any aviation requirement. This binder may be personalized with your name using a maximum of 20 characters. Enter a name to place on your binder(s) and also check the checkbox to add personalization. If you have any questions about binder personalization please contact us.